While standing in line waiting for the entry to open I think I mentally prepared myself for possible disappointment. It would not be the first time that my expectations outstripped the reality of an event. The handsomeness of the red entry gate was duly noted as we shuffled behind the jostling crowds waiting our moment to actually see the treasure ahead. 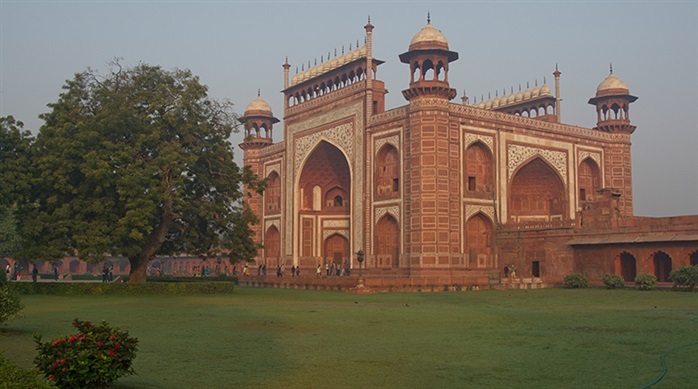 No matter how many pictures you have seen of the Taj Majal, nothing adequately prepares you for the sheer physical impact of its beauty. It's a palpable thing: the weight of it on your senses. It is much, much larger than you might imagine: 164,071 square feet. But it shimmers in the morning light and appears almost weightless. 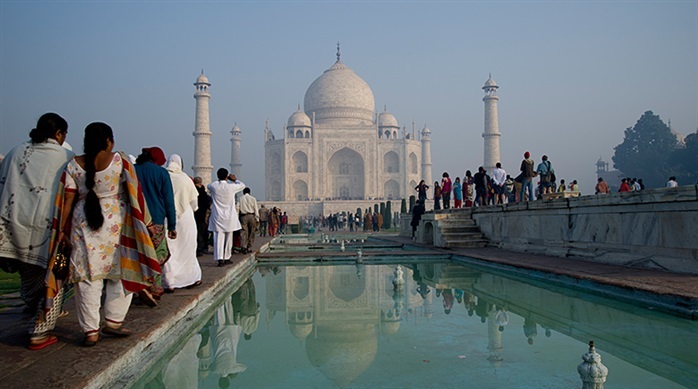 Close to 3 million visitors are drawn to it annually. The immensity of the masses there at any given time is dwarfed by the vastness of the complex. 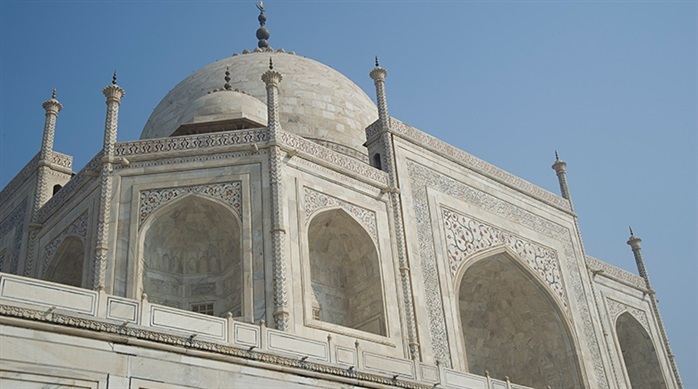 It was built by Shah Jahan as a tribute to the love of his life, his third wife, Mumtaz Mahal. She died giving birth to their 14th child in 1631. Over 20,000 people worked on the construction of the complex. 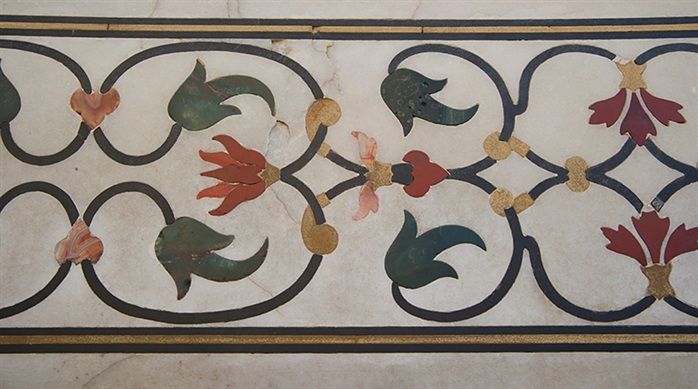 Thirty-five different precious and semi-precious stones were used to create the piedra dura, or marble inlay work, of flower designs found both on the interior and exterior of the mausoleum. 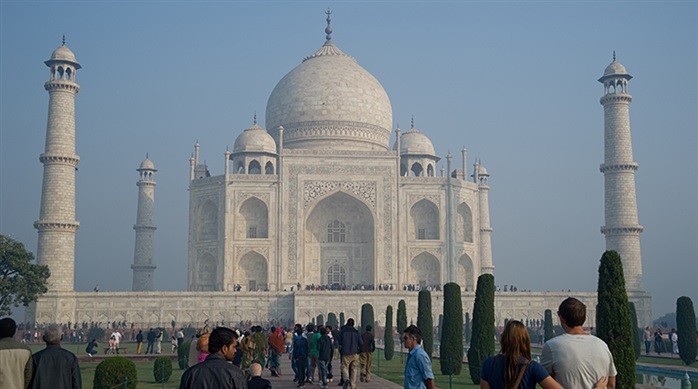 All in all, a stunning work of art worth traveling across the world to see.